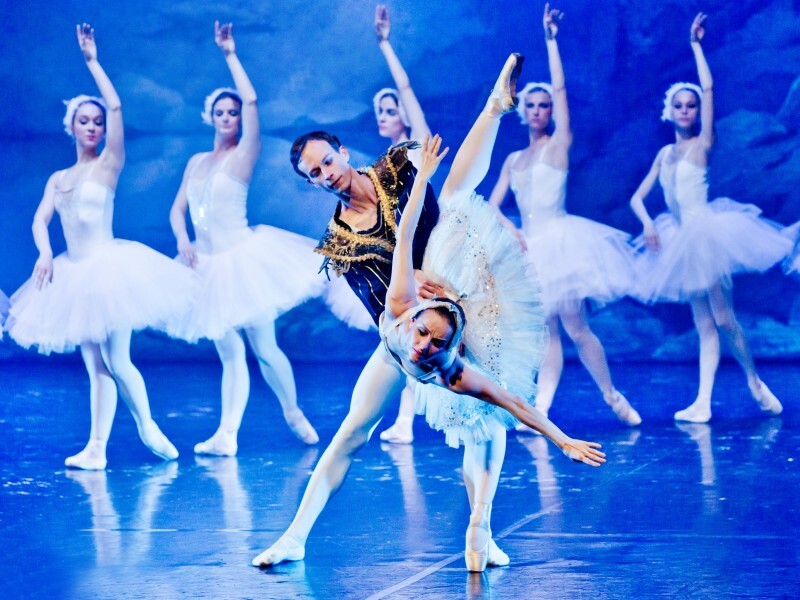 This performance plays the best scenes from the famous ballet, Swan Lake from P. I. Tchaikovsky. Performance covers the whole story of the original ballet designed to appeal to a wider audience. Tchaikovsky’s Swan Lake was composed in 1875 as a commission by Vladimir Petrovich Begichev, the intendant of the Russian Imperial Theatres in Moscow. Like The Nutcracker, Swan Lake was unsuccessful after its first year of performance. Conductors, dancers and audiences alike thought Tchaikovsky's music was too complicated and hard to dance to. The production’s original choreography by German ballet master, Julius Reisinger, was uninspiring and unoriginal. Much is unknown about the original production of Swan Lake — no notes, techniques or instruction concerning the ballet was written down. Only little can be found in letters and memos. It wasn’t until after Tchaikovsky’s death that Swan Lake was revived. Much of the Swan Lake we know of today was a revision by the famous choreographers Marius Petipa and Lev Ivanov in 1895. Swan Lake is one of the most popular ballets from the 19th century. It is a classic fairytale, filled with princes, princesses, sorcerers, evil, magic spells, and true love of a Prince and the subtle Odette, who is turned into a swan by the evil Rothbart.